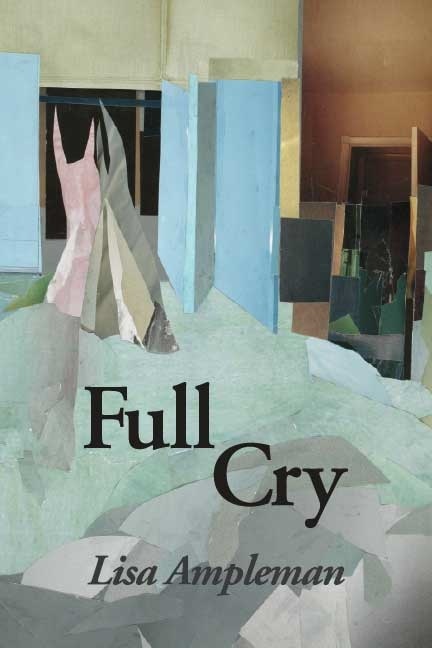 I want to thank Linnea Paskow for the great cover art for Full Cry—you can see her amazing art on her website. I met Linnea at a 2006 residency at the Ragdale colony, and we became quick friends. I knew that I wanted to use one of her collage pieces for my first-book cover (though the book itself was not much more than a twinkle in my eye) after seeing her work on Phantasm at Ragdale, and I loved that she described my use of images in poems as a kind of collage. I’m very grateful that she was willing to let me use “Disclosed” (here’s a full-size image). I can remember that our big dreams back in 2006 were (for Linnea) to have a solo show in New York and (for me) to have a book published. And here we are today! And thanks to Ragdale for being such a nurturing environment for interdisciplinary conversations about art. Deadlines are January 15, May 15, and September 15, depending on the session you’re interested in.